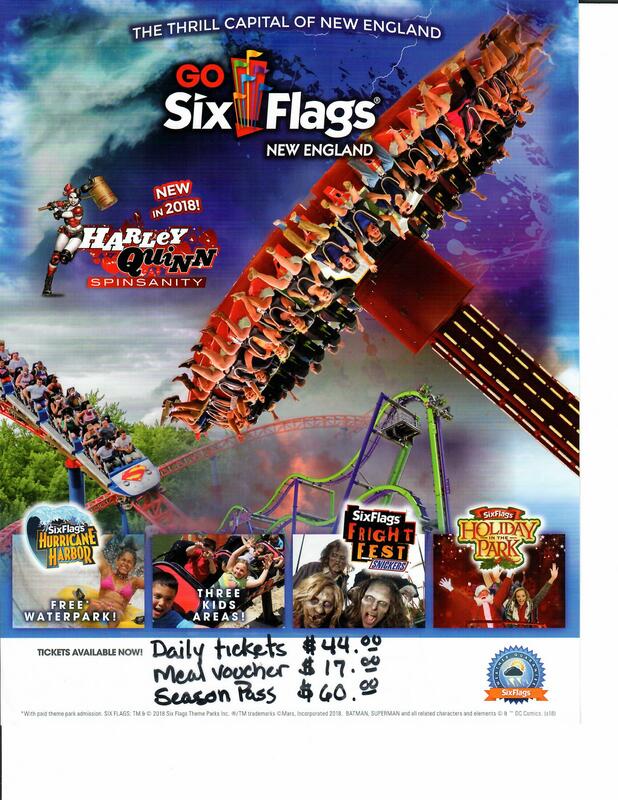 MWR is ready for the summer season and has available to MWR patrons discounted tickets/passes to Six Flags New England. Stop by the Ticket Office and get yours today! They are valid for any date!